God, the invisible world, are working for the great achievement that each of you wants. By the heart you are connected to the people, by the mind you are connected to the angels, and with the soul you are connected to God. The soul has come from God. God has breathed into man and he has become a living soul. He has created him in His own image and likeness. And what God has put in man, God loves it. He loves that truth which has invested in you. This truth sits in you. God has given you a great mind, a great heart and a great soul. Mind and heart are the clothes of the soul - the external, while the essential is the soul - the breath that has come out from God. You must have an excellent mind and heart, to help your soul. And what the mind and the heart acquire this asset in the future will carry your blessing. By "spirit" I mean the strong, the Divine principle in man. The soul is the repository of all the blessings in the world. Distinctive quality is its softness. (...) Many people deny the existence of the soul. This is ignorance. These are people who do not understand life. The law: is you cannot deny what does not exist, cannot sustain what exists. Denying the claim shows that talk about real things. What does not exist, neither is denied nor is supported. Therefore, the denial of the soul shows its existence. Believe in your soul if you want to solve all questions, if you want to deal with all diseases. The soul is the mother of man. Denying soul, you deny your mother. Spirit is the father of man. How will you deny your father? If you deny your mother and father who has given you life? You say that man has descended from a cell that has continuously divided and grown. So the cell and has a mother and father. We say: mother cell and daughter cell. Whether the soul is alive? The only thing that lives in the world, it is the soul. The only thing that works, that thinks, it is the spirit, the human spirit. Employee of the human spirit is the human mind. Now the philosophy is quite limited. The spirit in man in this sense is that thinks. The mind is derived from the spirit. The human heart is derived from the soul. The whole spiritual world is based on the law of the human soul. The whole mental and causal world is created on the law of the spirit. The whole physical world is set up as the human body is created. The entire physical world represents astrologically a man decomposed to his parts. There are four things in the existence of which man can never doubt: the existence of his spirit, his soul, his mind and his heart. If he believes in the existence of these four things, man will come to the great knowledge - to the knowledge of God. Knowledge of God starts from the knowledge of the soul. Until you know your soul of God you can have only an abstract idea. The one hand is saying: "Take it," the other says: "I give!" In nature it is the law. To get something, you have to give something back. That is the law. Regular exchange must be done: you will get if you give; as you give, you get. Only thus is created a connection between people. Someday you have a plus, you have to give of yourself; you have to get out of the pouch. If the seed does not go out of the barn, the barn will not become full. This, what goes out of the barn, will bring benefit. In these conditions the organic world in the first case will bear a son, in the second case will bear a daughter. Then the same law is: the daughter you will give, the son will take. The son brings, the daughter is taken. The same law is and in thinking: not only girls are born, boys and girls are born. Some thoughts you will give them out, others you will get inside. Some of the thoughts are positive, others are negative. Some thoughts have a feminine form of thinking. As you look at - the same variety as there is here on the Earth. This is just to explain the idea. The law is correct: negative and positive exist in your thoughts, in your feelings. Negative and positive exist in the deeds. At some moment, if you are positive, at another you are negative. Not that it is bad. You will take, you have to process. What you give, you have to give it with consciousness, with hope, with faith; you have to give it with love. What you take, again with hope, with faith and with love to take it. It is the right attitude. What you take, you should appreciate it. What you give, you must be reasonable. Black is the law of correct perception, while white is the law correct give. To know how to give, it is the white color - in the thoughts, in the feelings and the actions. And to know how to perceive, it is the black color, the black side. And if you do not know how to perceive, and how to give, then again appear the white and the black, but they have a completely different meaning. In the black man can stumble. White is nice. What it has, it gives it. White is put on the walls. White color wants to say that it has distributed everything. White color says: "All that God gave me, I share it. And you do the same." And black says: "All that God gave me, I keep it. And you do so." All what God has given to you; hold it and whatever he has given to you to distribute it, distribute it. Once you distribute properly, you become white. Once you grasp and retain it, you become black. The letter "h" in the word "White" indicates that what comes out of God you must give it. And the letter "l" in “black” indicates that you have to perceive. You need to know how to turn black into white. This is the good life. And the worst life is sitting in turning white into black. Your thought can be magical when it is in relation, in right relationship with all the thoughts of the rational world. In you there must be a willingness to give at first and then to take. Strong is the one who gives at first and then takes. And weak is the one who at first takes, then gives - remember that. And if in your mind you keep the thought ever to take, you are of weak character. This is a law. How should you live? You will wake up in the morning you will want to give something of yourself. And the power of God, the First Cause is sitting in that at first he gives – he has created the world. Then he has a desire of what he has created to take something from it. So unhappiness in life comes from the outset. We have to put things where they should be. You say: "I have to take." Life with taking spoils and with giving is created. When giving precedes taking, life is happy. When taking precedes giving, life is miserable. Man has to think, because thinking is what gives, while in feelings man takes. You take. Man should not start with feelings. In thinking man gives. Man must begin with the thought as God has begun to give something of him. The Divine law begins with the law of giving. Giving is exhaling. Breathing is taking. I connect them like this: give and take is the breath of the soul. If you do not exhale, you do not have the opportunity to accept the fresh air. So, when you give, you have the conditions to perceive more than you have given. Some are afraid of the law of love. And the law of love is the same law. When you do not love, you will not be loved. When they love you, you perceive air. And when this air sits in you, the desire must necessarily come to return it back. You will show your love to others – it is exhalation. And then you have inhalation and exhalation. At first God breathed into us something, he has given us something. Then we give to God something – we will manifest our love. Every day in breathing we should be doing this. You need to breathe. So every day you have to give and take, to show your love. You have to go out of the ordinary life. Ordinary life is just frustrated with woe and insensibility. Any difficulty that appears is an opportunity for us. Every single man you meet, who loves you, gives you a chance. It will show you the way of love and you are a way for him. You will see how he manifests himself; you can see the manifestation of God in him. God in one case occurs by taking, in another occurs by giving. Ever does not give, but teaches people. You cannot simultaneously give and take. You will first take and then give. On this law I do not want to stop. If I say to explain, you are not ready to understand. Man at first will take the food, after that health will come. Then you give something of yourself, you will work with. You at first will receive light and this light will bring knowledge. Do not talk about moral works. Morality, do you know what that means? "Mor" means more. "Mohr" in Bulgarian means to die, "al" - claims. All the people on the Earth are very moral. The current morality is that takes. Morally people live. More moral life there is no. Everybody takes - takes, then I praise you that you have taken. Now you will learn the law of giving. In moral you have learned the first meaning - to take. I praise you for this! I say: stop, you are taking, taking, everything is full; from there now you will give. You all have to give. How? You will give in the same way as you have taken. You say: "I will give in the same way that I have taken!" Here is a solution to this issue. You take, you are moral. To be loved, you have to give of yourself. Someone wants to know how much money to give to beggars. Why does he ask such a question? It is because he has no proper measure of giving. When you love someone, do you ask how much you should give? Once you love someone, you do not ask how and what to give him. If you do not love him, you ask how much you should give. Therefore, if you want to know what and how to give someone, you must love him. Love sets giving. When you give under the laws of love, the one who receives the money will keep for himself only as much as he needs, and the rest will return. Who does not love, he is always ready to take more money than he needs. Love always features with the following: at first it gives, and then it takes. And unloving, how would it differ? It takes at first and then it gives a little. The one who first takes and then gives, he is unloving. And the one who at first gives and then takes, he is in love. It is the law. So, to all of you I wish to live in love. Then go ahead and take. It is the law. Today you have learned a law - how to reach into the cookie jar. The law states: you pay first, then will weigh honey and finally will lick. To get accustomed not to reach into the cookie jar, it is impossible. However, be careful not to make the mistake, to reach into the cookie jar and not to pay. At first you pay; then you will reach. This is the solution of the issue with the forbidden fruit. Divine is to give more, and to take less. The same law applies and to knowledge. Will give more, take less. Why? As you take less, you will process it well. If you take a lot of knowledge you will accumulate them without assimilating. Through knowledge you keep the bright and the beautiful thoughts and feelings. They say: "To be good!" You, to be good, you have to give something of yourself. Evil in the world always comes when people just take. There is one condition that you do not realize that you just take, take; take. You want only the good and you do not give anything. Therefore, evil appears in you as a process to take what you take. This law works and in the plant kingdom. In nature there is a law: What you have to give, you should give it on time. It is because if you do not give it on time, they will come and take it from you by force. There are soldiers. And if a ship that travels at sea is loaded more than necessary, it will sink. And if completely empty, it is likely to turn. This ship can be loaded to a certain place. There is a certain measure. If you have two loaves of bread in your bag and you meet a man who does not have any, give him one of yours. Do not wait for him to take it from you. If you have only one loaf of bread, be sure that you will not meet a man who can rob you. It is the law. Between people there is one weakness: someone thinks that they will take his bread. Anything they can take you, but the bread they cannot take your. They take your the bread for the sole reason because you believe that they will take it. By law no one can take your bread, by law no one can take your air, by law no one can take your thoughts. Who believes the law is true to him. Nature has given different gifts to people but they must develop them. One gives, the other takes. Two people at the same time cannot give or take. It is important man to know how to give and how to take. The smart knows when and how to give and to take. Giving is a law by which man fulfills God's Will. If he fulfills it properly and with love, he enjoys the blessing of God. In other words: if you give correctly, nature gives you a credit, if you do not give correctly, it stops your loan. The same law applies to the claim. If you take properly, your nature cool water relaxes the credit, if not take properly, it stops your loan. Imagine that they give a seed. You take the seed and throw it away. In this case you have not taken the seed correctly. Why have not you taken it correctly? It is because you are not reasonable. The reasonable knows how to deal with the seed. He goes to his field, plants the seed, waters it and leaves it under the care of nature. After time of this seed will grow a big tree that will provide abundantly fruits. When man breathes, he takes again. Someone will say that he does not want to breathe cold air. For a moment he may refuse to breathe, but in the second moment he will be forced to absorb and cold air. Refusing some good is still wrong taking. Nature punishes anyone who does not know how to take it. Why? It is because with wrong taking man violates the laws of nature. When he eats, when he drinks water, when he breathes, man takes certain goods from nature, in return of which it builds into him. By reasonable taking man is supplying materials to nature to build. Changes that occur in nature are the result of what it creates. Knowing this, man must be prepared to deal with all the changes in life and in nature. So it is said: "Come to terms with God." Nature is extremely fair. It is not wasteful and consequently keeps its accounts in order. If someone wants to make a loan from one of the natural banks, nature will give him just as much as he needs at that time - no more, no less. Banks on the Earth ever give man more than he needs, and ever - less. Precisely therein sits the evil. Man must be given just as much as he needs for the occasion and he has to use the given exactly for what he needs. If you are given cash for a house, a house you should do; if you are given money to study, you have to study. If you use them for something else, you will pay extra with compound interest. Lawfulness of nature sits in the following: what I think, feel and do for the others, the same remains for me. Under this law, no matter how much you give, it will be filled. Give and will be given. Take and will be taken. Simultaneously you will give and will be given, will love and will be loved. The law is: as you give, you will be given. Being empty, will be filed again. God gives to those who give, but not to those who do not give. You say about somebody that is rich. Do not deceive yourself. He is a loaded man, he is not rich. Being loaded with wealth and eating sweetly on the table, these are two different states. The rich is moaning and cannot eat – he is loaded. The poor is light, he has no load. He sits down at the table and eats sweetly. In his mind, man must keep the thought that as much as he gives, so much he will take, plus a small appendage equal to the interest of the amount given. For instance, if someone makes a good until the evening it will be given back to him, but with interest. If someone makes an effort to climb the mountain, when he returns from there, he will have a little appendage that will reflect favorably on his body. This is the law. Therefore, every day man should at least make the slightest good, expressed in thought, feeling or action. This good can be done to a spring, to a plant, to a fly or to a man. As little as the good is, it should be done. The least good is an expression of the Divine doctrine, of the inner law in man. People are afraid of giving, lest they become to poor. They say: "If man divides all with the people where will he go over?" If you give, the end will be good; if you do not give, the end will be bad. Which is better: to sow a man or not sow? And for him and for his family it is better to sow than not sow. Giving is a Divine law. It is not about a man giving away his fortune, but what he does it must be of love. If you give love, you both enjoy it and you and the person to whom you give it. If you do not give with love, you enjoy nothing. If you put love, it will fix all your works. Great, a powerful force is love. Pure heart is a source: the more it gives, the more runs out of it. Give to get. This law applies only to pure hearts. For impure hearts it does not work. In people with pure hearts it never drains. In people with impure hearts it is clogged, it already drains, resulting in cracks here and there. To avoid the mischief that it can cause to man it necessarily has to be fixed. All of you need an inner consciousness, an inner understanding; unity. 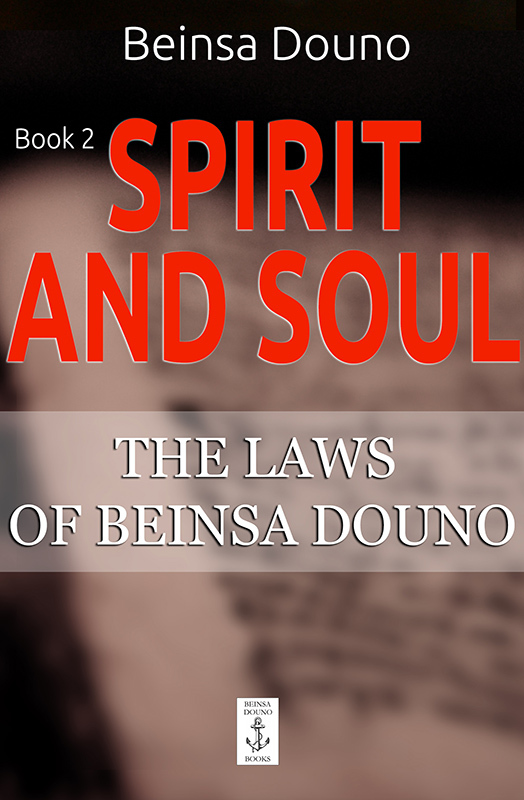 Spirit is that reasonable start, which teaches people to understand the laws of matter. For instance, if you give a man a gem, it is matter. If you give him gold, it is matter. But if you understand the laws to each person you will know what to give. If you want to make friends give gemstones, gold, silver. If you want to make enemies give impure matter, give sour fruit, moldy bread, some torn shoes; a torn hat. If you want to create enemies in life, then give sewage. Give the best that is in matter, give it. You have found a gem, hide it; keep it for yourself. You have an idea, keep it for yourself. The second precious thought, give it out. And in the mental, and in the sensual world the second thought, the second sense, send them out. Or teach someone how to live. To teach a man how to feel right, it is an art. On what is based the new teaching? It is based on the law of giving. This law is the base of the new society, of the new fraternity. All mothers and fathers, brothers and sisters, masters and servants, friends, apply this law. Only so people can love each other. Without this law, love is away from you. "How can we love more?" The more you give, the more you will love. I can easily make you love me. I give you one gold coin, you love me. I give you 2 coins, more you love me. With 3 coins even more love me. So issues are not resolved. While you judge one another, you have solved nothing. Someone says: "Give a little, but from the heart." Give a lot from the heart. If you have, give the best from the heart. This is the Divine law. Everyone should study the other people and should act as he would like them to do to him. To act towards you well you must study the laws under which I live. In order you to behave well to me I have to study the laws under which you live. I want to feed you - I will give you food that suits you. I want to give you water – I will give you the water that you love. It is necessary between you and me to be created right relations. If I give you whatever water, if I give you food whatever it is, if I give you whatever clothes, the attitude is not right. You will give to your neighbors; to the one you love the best. In love, the best thing to give him and he should give you the best. You will do as you do to yourselves. There is no excuse to say: "I do not know." The only thing that is ever given freely is love. Other things are not given freely. Therefore, everything that comes from love is given freely. This is an internal law, an inner rule. If you do not give something as a gift, it does not come from love. If something is not given to you freely, do not ask for it. It is not given out of love. Only love gives willingly. Anything given violently, without love, produces a contradiction. So who gives freely, freely takes. As he loves, man must have the consciousness that serves a great law according to which he should not be thinking about what he has given. From what you give, all will enjoy. Such a thing is love. You give without thinking that you have given and you do not want from anyone anything - neither glory nor honor, nor love. Now, I am not saying you have to become such. If I tell you how to act, you will be terrified because you still live in matter. If in the present circumstances I call for you in love, you will turn to charcoal. One of the fundamental laws of life states: everything that you have received freely from God, you will give it freely. When you come to love, you're going to make calculations, to emphasize that you love certain man. This is a misunderstanding of love. There is no need to emphasize that you love. Once you love, you will survive, ie you will awaken. This is the first manifestation of love. Then you will become - the second event. And finally, you will resurrect - the third event. Till the resurrection, love is manifested in its fullness. You say you live, but you also have joys and sorrows that produce contradictions. Then you will ask what the reason for the joys and the sorrows is. While not resurrected and you will have joys and sorrows. "I woke up." You will awaken but you will still have contradictions. You will become – you will still have contradictions. Once resurrected, you have completed a process in itself and you realize that what you have taken for free, you will give it freely. In the application of love there is a big difficulty. Do you know what it is sitting in? If one eats a lot, and another - a little, they cannot love each other. If they both eat a lot, they still cannot love each other. If they do not eat, they cannot love each other. Two people to love each other, the one must give half of his eating to the brother. So people can love each other. This is a law of nature. The mother, when eating, uses part of the food for herself and half gives to her child. That bird, when catches the berry, swallows it alone, but if a mother it at first gives it to her children and then it looks for itself. Love at first does a service to others, and then to itself. Lend it to others, you have love. Such is the love of nature. I note one fact. So it is in humans and in animals, and in birds, and in plants. So it is in schools and in society. This law you cannot modify it. We will start with ourselves. At first we will work for God - we will give half of what we have. Then we will have love and blessing will come upon us. That is the law. If we have a friend at first we will give him, and then we will think of ourselves. You will say: "Well, if under the new doctrine I begin to give to this half, to that half, what will remain to me?" You meditate very shallowly. If all compete, then will there be shortages? I check this law and see that there is no scarcity in nature. No, there will be a regular exchange and we will be happy. I will get mine, you - yours and exchange will be correct. Everyone will take his toll. Therefore, if you are not able to give to your friend half of your meal, in your heart there is no love. If you are a student and you are not always ready to tell your lesson, what you know to your classmate – you have no love. There are some capable students who do not want to tell, retain knowledge for themselves; only they to get six (the highest score). Nature helps 50% in all cases: in sickness, in hardships, in suffering. Do and you like nature. If you help man 50%, leave it himself alone to help 50%. Do not help anyone completely, 100 to 100. If you have decided to leave to your daughter 100,000 Levs, give her 50 thousand. Whatever you decide to help, when you come to the realization, meet halfway. It is noticed that mothers lose those children who they most love. They want to give them 100 to 100 of what they have, so God take their children with him. No man can live on earth and to be 100 per 100 insured. God gives 100 to 100 and man – the most 50%. Some mothers tire their children with great love, they feed them a lot; they want to satisfy them fully. Do not sate your children; do not sate yourself, be true to the Divine law according to which the small is blessed as the big. If it comes to man, give him 50%; if it comes to God, give 100 to 100. The law of generosity states: give, until the load weighs you. If it does not weigh you, do not give. The law is: whatever falls to the ground from the tree of life, you can get it and count. Some of it will keep for yourselves, and the rest - for your neighbors. If you want from man a service in money, to care for you, in moral services, you will share with him and the good and the profits. If you not follow this law, between you and nature arises a certain contradiction, some disharmony. Two measures you should have. And these measures must be absolute! The first: As you give, you have to be absolutely free, nobody to restrict you. And the one that takes should be happy, no matter how little he has been given. If he is unhappy, this means that he wants to limit, to force you. This is not freedom. He wants from you, he says: "So much you should give me" This is not freedom. (...) He should not fix what to do. And not only externally but also internally he should not think that you have given him a little. Each one of you to be free! I understand freedom in my actions so: This, what I do, is the law. I do not want anyone to limit me. The second position - what people give me, to know how to accept it. And I will appreciate even the little they give me. The law is: who is giving, he should know how to give. If you do not know how to give you cause damage to your neighbor. If you take by force, you committed a crime. And if you give by force, without asking from you something, without needing it, you still do crime. Thus giving should be done freely and with love. The law is: when you do a good to someone, in the one to whom you do the good, must appear in his consciousness an appreciation, in his soul must appear gratitude, he should appreciate what you are doing. Then the exchange is correct. The one who gives and the one that takes, to whom is given, they both are encouraged. If that, whom they provide does not pay; between the two is born disagreement. Blessed is the one who gives without expecting anything. It makes sense to take, but from the one who has plenty. Take from the Sun. When you take from your similar, you will take less, but you will give more. This is the Divine law. From human love you will take less, and from the love of God - more. Who is tempted today? Adam. Who else is tempted? Eve. She has eaten from the forbidden fruit and has given from it to Adam. Who takes is weak, who gives is strong. Only the weak is tempted. Once you want to get something, you are already exposed to the test. This is the law of necessity. Therefore, you can take only from the one who has born you. His giving is safe. If you take something from the one, who has not born you, you are in danger. The world is safe insofar as you can perceive the Divine from it. If you cannot perceive the Divine, the temptation comes. The same law operates and in knowledge. Generally man is not free from temptation. You have a disposal of the spirit, you think you have acquired everything, but at some point they put you to a test and you cannot take it. Why have you lost your disposal? It is because you have been in the garden and could not take this exam. You are unhappy, you are desperate; you do not know what to do. Someone has to come from outside to help you. What can come out of a man waiting outside help? Some have natural habits, some have unnatural habits. Minor habits are learned. Imagine a man who has a habit to drink water, he walks in the woods, he is looking for water. The second habit is to drink wine. The man goes, he is interested in pubs. When he goes, he reads whose this pub is, is there some good wine and how old is this wine. It is a secondary habit. In there, but what a difference there is between the source and the pub? To the spring you go, you pay nothing. You go to the innkeeper, you drink, and he says: "You will pay." You wonder: why is this thing? It is because it is not like in nature. Nature gives freely, and the innkeeper says: "I give, but you will give as well." This amends the rule. In nature you will take and nothing you will give. The innkeeper says: "Another law there is in the world." Then this, the second law will prevail. You can drink 4-5 liters of water, will not do bill. But when you drink five liters of wine the bartender says: "5 liters each 15 lev - 75 lev." If you drink a little, a little you will pay. If you drink much, you will pay much. The same law: you go to one innkeeper, you eat; you need to pay. You go to nature, there are pears, apples, plums, you eat, but trees do not want anything. If the providence puts modern humans to a test to check how far they have gone in their moral beliefs, it will be as follows. Imagine that one spring day when the grass is pretty green, the flowers are blooming, the birds are singing their melodious songs, the people from all the layers of society - kings, princes, nobles, clergy, judges, lawyers, writers, poets, rich and poor, scholars and simple; men, women and children - have gone for a walk. However, by some chance, they are all stuck and have nothing in themselves, neither bread, nor money. They see on the way a big bag with gold English sterling. What will these people do? In each will appear willingness to take the bag for him, to provide. I ask: what culture is this, when everyone thinks only of himself? In this case, everyone should look at the bag with gold as at a bag full of nuts and gettting past it, to take 1-2 nuts to memory and continue his way. It is right for everyone to take one nut only. If he takes 2 nuts, he commits a crime. This is the law of nature. When someone walks into a garden, according to the laws of nature he has to pick up just one apple, if he picks up two apples, he commits a crime. There are things that are not crimes. For example, a man has taken an apple from an apple tree. It is not a crime. He has walked past a vineyard and has picked up grapes. And it is not a crime. You go into the house of a rich man; you find his purse, which has 200 Napoleons. And you, you need only 1 lev. You go and take only 1 lev. And it is not a crime. But if take all the money - it is a crime. You will open the purse and get only 1 lev. If I open your purse and I take as much money as I need, and you, you open my purse and you take as much as you need, then that is by God. Once you get more than you need, you have already committed a crime. And finally you can go to my purse and ask my purse. I so understand the doctrine: you go and find my coat, find my purse, my purse is conscious. There are 200 Napoleons in it. Let us say that you need one Napoleon. You say to the purse: "Give me the address of your master" or "Inform your master that I need one Napoleon. Do you have, can you give me so much?" The purse will immediately tell me. I will say to the purse: "Give him 1 Napoleon at my expense." Have you asked sometimes the purse? You want to do something. Ask! This is an internal moral law. Now I see - rich people do not listen. They sit and learn just how to order. He says: "Do this, do that!" All are bandmasters. Bandmaster may be just the one who knows how to play all the instruments in the orchestra, who knows each score. It is so in the Divine world. Any dignity that he has, he deserves it. There the greatest, the most learned men are most helpful. They are the most humble, the most modest. This brilliant people do not want to know. There geniuses are willing to lend you ever. But the law is such: if you want more, it disappears. While you see it it serves you. If you want more than you need, it disappears. If things in your mind and in your consciousness disappear, you have wanted more than you need. It is opportunity. As long as you have a reality, while you are on the right path, you walk in the Divine, looking for the things properly, you are developing properly. If you want more the harmony is disturbed, it is lost. Remember: health depends on the proper perception and giving. You will eat, ie will perceive with measure and will give of yourself with measure. As it concerns perception and transmission of energy, you will follow the same law. For everything you will perceive and you will transmit as much energy as is needed. Thus you will maintain the harmony in your life. But if it comes to the good, the law is another: the more the good you do, the greater the harmony of life is. The Prophet says: "All the people must return to the right path, to live by the law of liberty." What does this law state? Forget that you have to take anything from anyone. Tell to yourself: "What our father has left to us, we will work together and we will share it brotherly." It means man to be born again and to work according to the law of love, of justice and freedom.